Mississippi religious leaders could soon play a bigger part in advising lawmakers now that legislature has agreed to form an advisory council sought by Gov. Phil Bryant. MPB's Alexis Ware reports. A new bill is calling for the creation of The Mississippi Advisory Council on Faith-based Initiatives. Governor Phil Bryant addressed the need for the council in his State of the State speech in January. "Creating the Mississippi Faith-Based and Community Advisory Council will elicit, empower and expand the work of volunteer faith-based and community organizations. 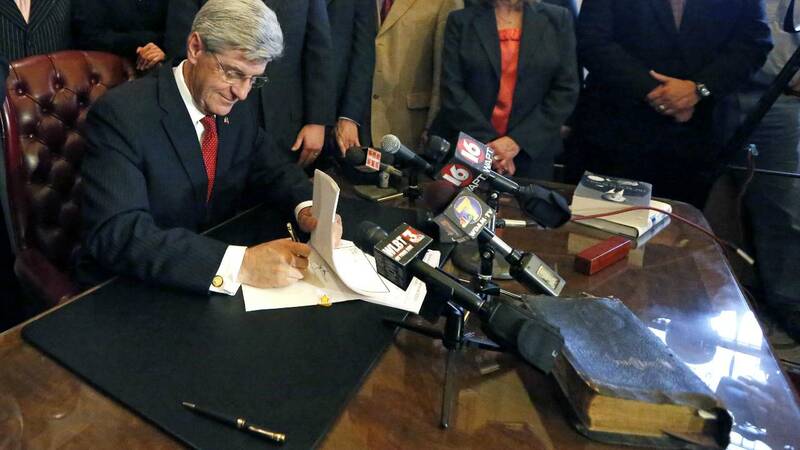 I believe it will strengthen families across Mississippi and at no cost to taxpayers." Faith-based affiliates from around the state, as well as foundations, corporations and cities will form the 25 member advisory board. Their purpose will be to help Mississippi lawmakers the best way to deliver social services. Neddie Winters is the president of Mission Mississippi, a Christian organization. He says communities can benefit by having diverse voices. "I believe that any time you have the perspective of the diversity of the community it is always helpful to have that for a policy and regulation standpoint." Winters says the council would offer the chance for faith-based communities to shape their communities. "Whatever beliefs or whatever beliefs you have whatever government determine policies it's going to determine the communities sometimes in a positive way sometimes in a negative way. Hopefully, with an inter-faith and faith-based council in place, things would be developed in a way that more positive than negative." The bill would take effect on July 1.